Are you currently working on a new ad or marketing campaign? Then we’ve got a hot tip for you: Don’t forget your print media communication! And it’s not enough to just remember it: Check how effective it is! Are you telling your customers about things that are important to them? And are your employees spending enough time to plan, execute and optimize print marketing campaigns? If you can’t answer both of those questions with “yes” right away, then you should take a look at the following tips to make sure that the communication with your customers is as good as it can possibly be! 1. Forecast, analyze, organize: You don’t have enough room to store printed marketing materials? Or you’re not sure how you should approach direct marketing campaigns? Then it is important to have a solid plan in place. Think about which ROI you need to reach to cover your immediate as well as your long term costs. 2. Become “reachable”: Surprise your target audience with a complex, interactive product, an unusual flyer or creative information folder. The print industry is more versatile than you might think! Everything is possible: Be it unique packaging or virtual reality. Forget about overflowing inboxes and boring stand-up-material. To make your customers come back you need to serve them with personalized material that surprises and entertains. 3. Don’t forget “double recipients”: Those are people that can be reached digitally as well as physically. Statistically speaking, it’s younger people that don’t use paper themselves but are open to receive printed marketing materials. Address those people! 4. Clear and simple: That’s how customer communication has to be. 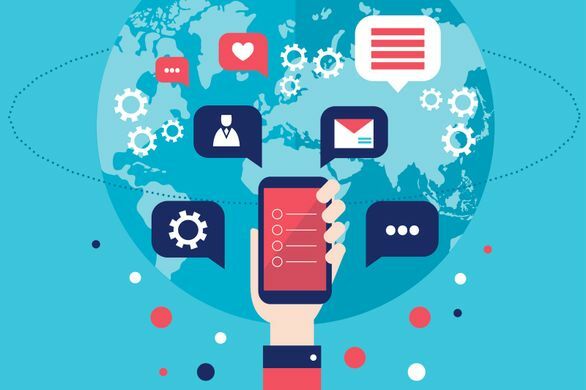 According to a study by keypoint-intelligence-info-trend consumers point out how important it is that messages are communicated in an easy-to-understand way. Instead of showering your customers with details it is better to focus on the core message. Leave out all information that is not crucial. And: Don’t forget to include a call to action! 5. Set your priorities: Maybe your marketing strategy needs a complete makeover, or maybe you just need to adjust a little bit. But look critically towards your marketing concept. Do you focus on presenting what’s important? What are customers supposed to see when they come across your ad? What do you want them to do (get in touch, place an order, remember your brand,…)? Those are important questions you need to ask yourself and your team – if you don’t already. Listen to your employees and set goals that can be reached with a thought-out strategy.